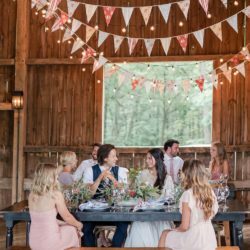 To set the stage for an eco-friendly gathering, we turned to our pals at Cherry Blossom Events, who have an eye for throwing themed parties with a sustainable edge. 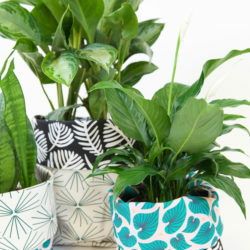 Their team was inspired by Spoonflower designs that evoked nature in all its finery–from ocean waves and bold botanicals to playful tree prints. Keep reading to find out the five ways you can throw a greener party. 1. Use real flatware, glassware, linens and place settings instead of disposable ones to reduce waste. 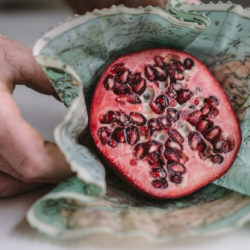 Skip the DIY and pair your favorite designs from the Marketplace with Roostery’s table runner and dinner napkins to complete your table setting. 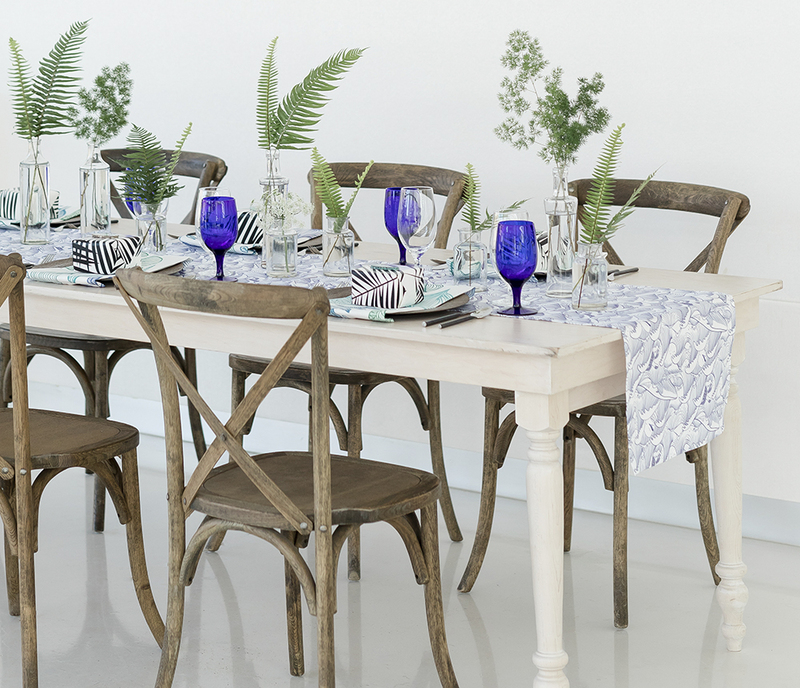 Whether utilizing a local rental company for larger gatherings or hosting a small party featuring an eclectic collection of thrifted items, you can mix and match flatware, glassware and place setting for casual elegance. If you’re tight on time and can’t make it to the thrift store, let Roostery help with custom printed tablecloths featuring your favorite earthy-friendly designs. 2. 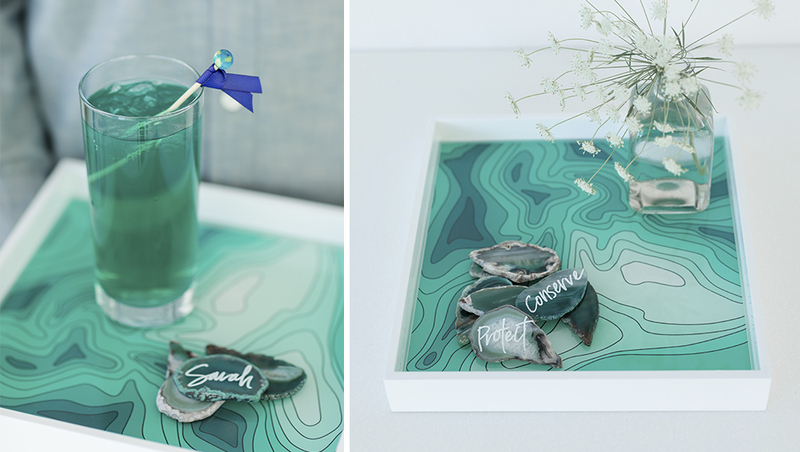 Use Mod Podge and gift wrap to dress up a plain serving tray. 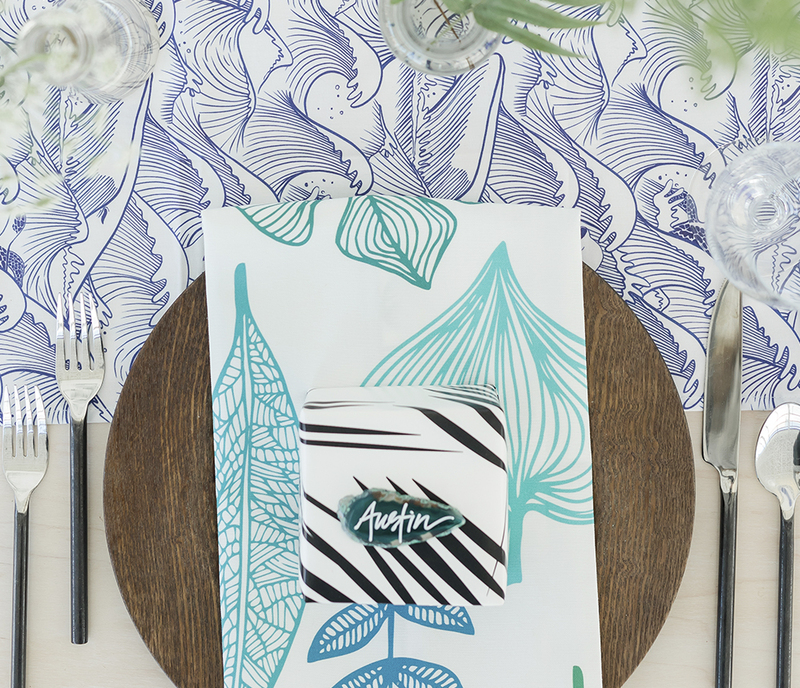 Use the extra gift wrap for quick and easy DIY place cards. 3. 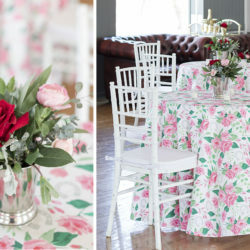 Collect an array of linens to use for your events. Layering muted textiles with fun pops of color is always a good plan! 4. A custom wall hanging can help anchor a themed party. A few stained slats of wood, a staple gun, a couple eye hooks, and a yard of your favorite Spoonflower design printed on Eco Canvas are all you need to create a focal piece. Plus, it’s a simple project that’s great for any skill level and can be repurposed as everyday wall art after your celebration. Follow this easy video tutorial for the complete how-to. 5. 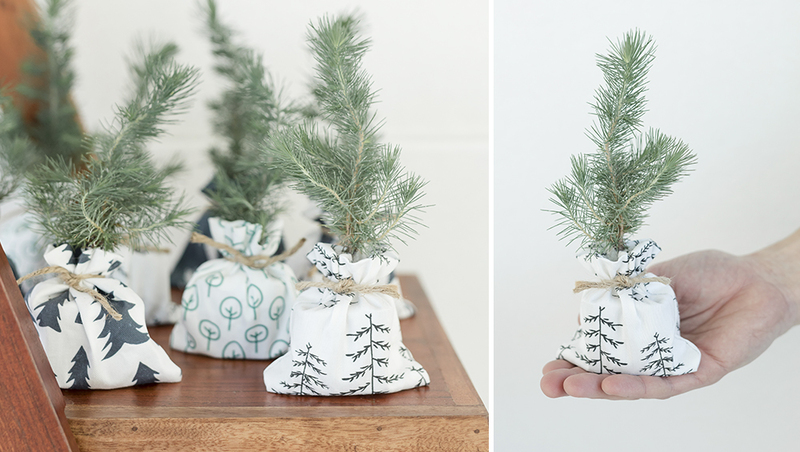 Give a sapling wrapped in fabric as a thoughtful parting gift. Using the Fill-a-Project™ 1 yard Cheater Quilt template on Kona® Cotton Ultra, you can find the perfect design to match each of your guests’ personalities! If you want to take your party to the next level with a hands-on activity that’s both Mother Earth-approved and beginner-friendly, invite your friends to bring an old tee to create their own refashioned raglan. See how it’s done using a thrifted t-shirt and your favorite knit fabric here. 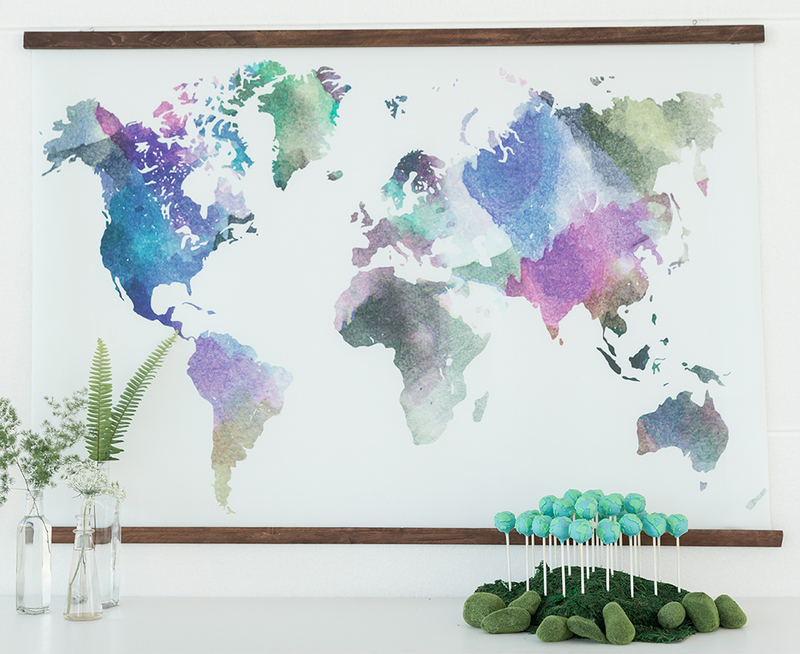 Don’t forget to share your tricks for a greener party and show us how you’re incorporating these five earthy-friendly party planning tips by tagging your photos with #spoonflower!